Australia is a vast country that is just slightly smaller than the continental United States. So it probably shouldn’t be surprising that a country this large would also be home to some of the most unusual destinations and creatures in the world. 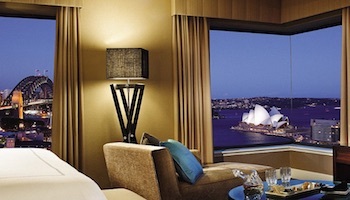 Among the many iconic sites and landmarks you can visit in Australia are Ayers Rock and the Sydney Opera House. 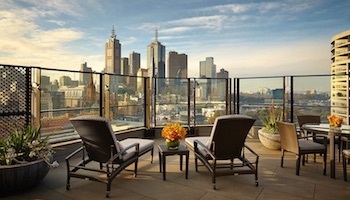 While these spots are very popular with tourists, there are a number of tourist attractions in Australia that aren’t as well-known but are just as impressive. Cable Beach is located in Broome in Western Australia and is considered by some to be this state’s most popular destination. It is a stunning beach, known for its white sands, beautiful sunsets and the brilliant blue waters of the Indian Ocean. 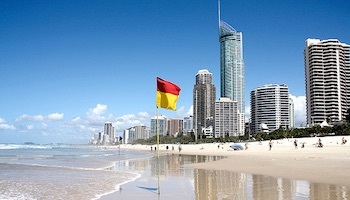 Cable Beach is also famous for its camel rides on the beach. Those who prefer motorized transportation can choose to cross the sands in a four-wheel-drive vehicle instead. 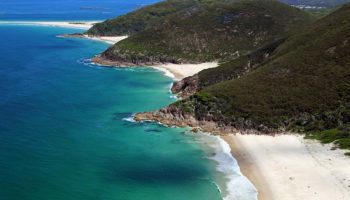 This beautiful island, which is located in Queensland, boasts rainforests, sand dunes, more than 100 freshwater lakes and pretty colored sand cliffs. 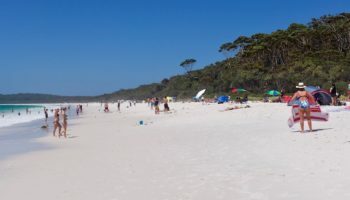 Fraser Island, which is just a short ferry trip from Hervey Bay, is also considered to be the largest sand island in the world. This island boasts another unusual claim to fame — its dingoes are considered to be some of the most pure in all of Australia, as they have not had as many chances to crossbreed with dogs as their mainland cousins have had. The Great Ocean Road, which is located in Victoria, is considered to be one of the most beautiful drives in Australia. This 243 km (151 mile) drive starts in Torquay, which is located about 100 km (60 miles) from Melbourne, and ends in Allansford. As it travels along Victoria’s beautiful southwest coastline, the Great Ocean Road passes by some of the most stunning scenery in Australia, including The Twelve Apostles, which are pretty limestone stack formations that rise out of the ocean near Port Campbell National Park. 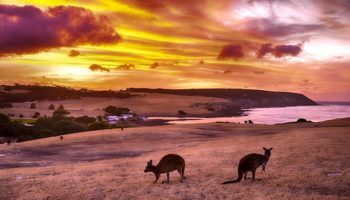 There are also a number of places along the Great Ocean Road where you can spot some of Australia’s famous wildlife, including kangaroos, fur seals and emus. Located in Western Australia, Purnululu National Park is home to one of Australia’s most unique tourist attractions known as the Bungle Bungle Range — striking orange-and-black-striped sandstone domes that resemble huge beehives. Surprisingly, the site was known only to local Aboriginal Australians and farmers until recently. In fact, it only became famous after a documentary was made of the area in 1983. The park is also home to Cathedral Gorge, an amazing natural amphitheater. Because Purnululu National Park is located in a fairly remote area, visitors to its two campsites must pack in and out all of their essential supplies. 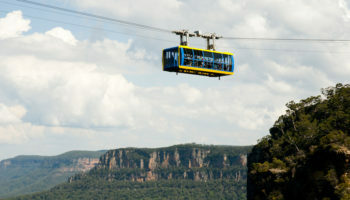 The Blue Mountains National Park is located in New South Wales, approximately 80 km (50 miles) west of Sydney. Its proximity to the biggest city in Australia has made this scenic park a popular day trip for both tourists and locals alike. The park is probably best known for the Three Sisters, a rock formation that towers 900 meter (3000 foot) above the Jamison Valley. The Blue Mountains National Park features miles of trails for hikers and mountain bikers, and it is also a popular natural playground for adventurers who enjoy adrenaline sports such as rock climbing and abseiling. 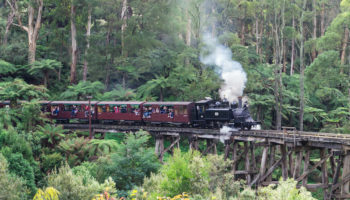 Visitors who prefer a more tame way to enjoy the Blue Mountains National Park can climb aboard the glass-roofed carriages of the Katoomba Scenic Railway, which is the steepest passenger railway in the world. This stunning collection of 74 islands lies in the middle of Australia’s Great Barrier Reef, making them a perfect jumping off spot for travelers looking to explore the amazing and colorful marine life that live in the waters of this area. Although most of the Whitsunday Islands are deserted, seven do have outstanding resorts on them, including the world-famous One&Only on Hayman Island, a favorite of celebrities and the rich and famous. One of the most beautiful of the Whitsunday Islands is Whitehaven Beach, which boasts blinding white sands. These islands are the perfect choice for travelers seeking a blissful vacation on a lovely tropical island or for those who enjoy hours of snorkeling and scuba diving. Located in Australia’s Northern Territory, about three hours north of Darwin, Kakadu is the country’s largest national park. There is a lot to see in Kakadu National Park, including a large concentration of Aboriginal rock art; some of which are estimated to be up to 20,000 years old. This park is also home to many different species of wildlife, including wallabies, dingoes and crocodiles. In addition, Kakadu National Park, which is home to one-third of Australia’s bird species, is a birdwatcher’s dream. 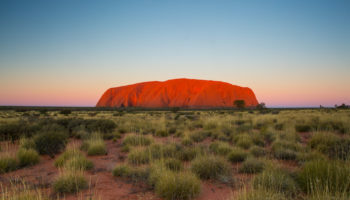 One of the world’s largest monoliths, Ayers Rock is also one of the top tourist attractions in Australia. 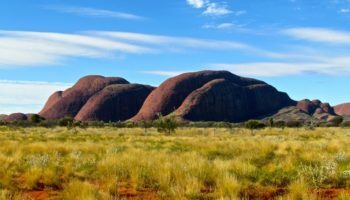 Located within the Uluru-Kata Tjuta National Park of the Northern Territory, this large sandstone formation stands more than 340 meters (1,100 feet) high. One of the rock’s peculiarities is that it changes colors dramatically at sunset from terra cotta to blue, violet and red. The local Aboriginal tribe, known as Anangu, call the rock Uluru and regard it as a sacred site. One of the top destinations for underwater explorers and scuba divers is the world’s largest barrier reef system, famously known as the Great Barrier Reef. Located in the Coral Sea, the Great Barrier Reef encompasses a huge area of more than 2,900 coral reefs and hundreds of islands and cays. The best way to explore the Reef is by one of the numerous boat cruises that run along the northern coast of Queensland. 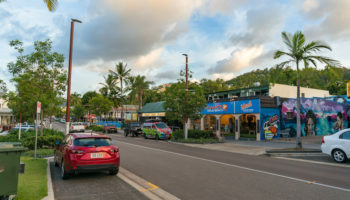 The town of Cairns is regarded as the main gateway to the Reef, but other towns also offer cruise operations. Regarded as a 20th century architectural masterpiece, the Sydney Opera House was designed and built by architect, Jørn Utzon, to reflect the image of a huge sailing ship. It houses multiple venues that together host more than 1,500 performances each year. Surrounded by the beautiful scenery of the Sydney Harbour and the Royal Botanic Gardens, the famous Opera House in Sydney is one of Australia’s most famous landmarks. 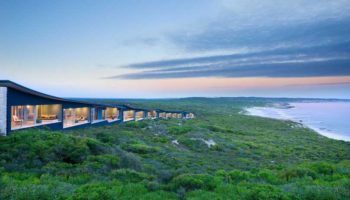 Very informative and great list, most of the popular holiday places in Australia are covered in this post. Amongst them, Sydney Opera house and Great Ocean Road are my favourite and you have shared some very useful information related to it. This a a great list, but I’ve gotta let the readers know that trying to hit them all in one visit to Australia is going to be hard. These places are pretty spread out, and some of them a little remote. For sure add them to the bucket list, but getting to all of them in one holiday might be a bit hard (or expensive).